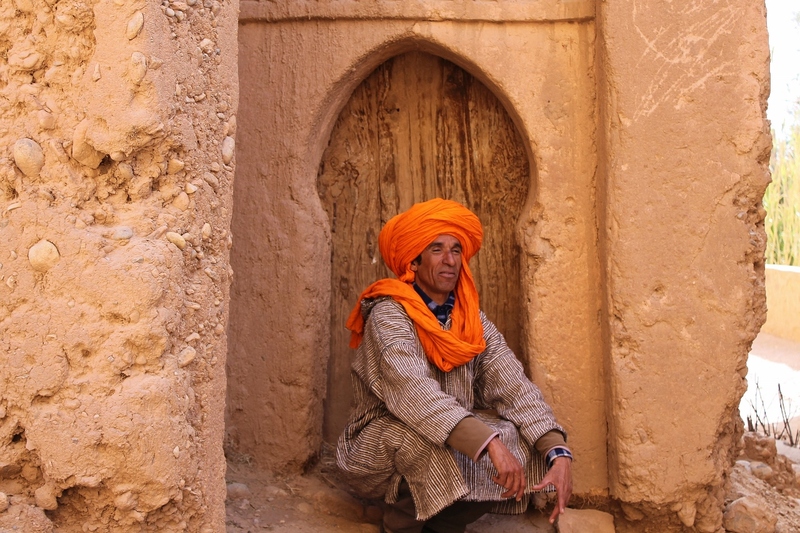 You will see the best of Morocco in this cultural and adventure tour, making it a very challenging and rewarding experience. 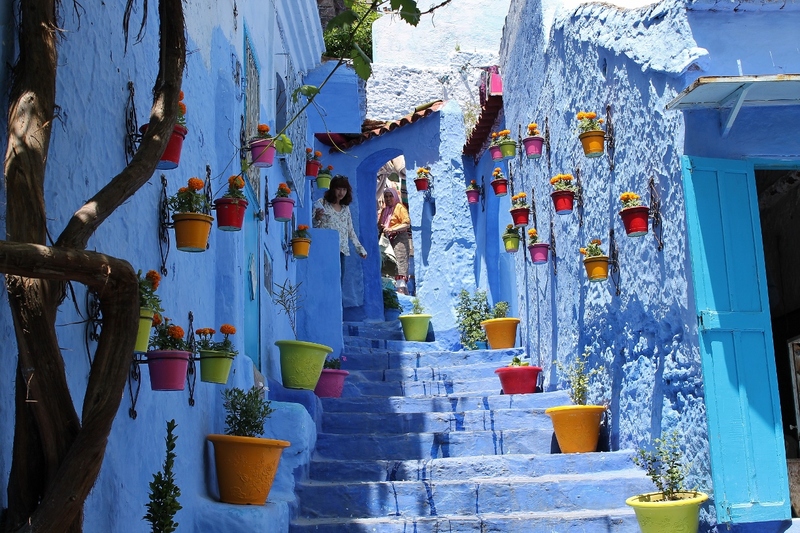 As soon as you step out of the airport, you will experience Tangier, ending with the smells and colours of Chefchaouen. 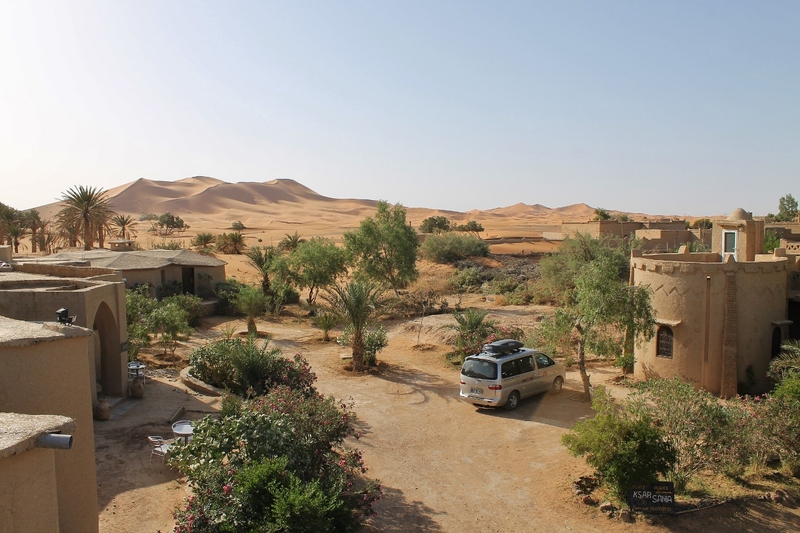 This private tour will take you through several different regions, from busy cities to peaceful deserts and oasis, with very different civilizational standards from those we are used to. You will travel through this beautiful country from north to south, seeing amazing and breath-taking views, meeting its people, their hospitality, friendship and customs. It is in these differences that resides much of the fascination of this adventure. As in all tours, we do not want you to be a mere tourist, but a fellow traveller who wants new experiences. 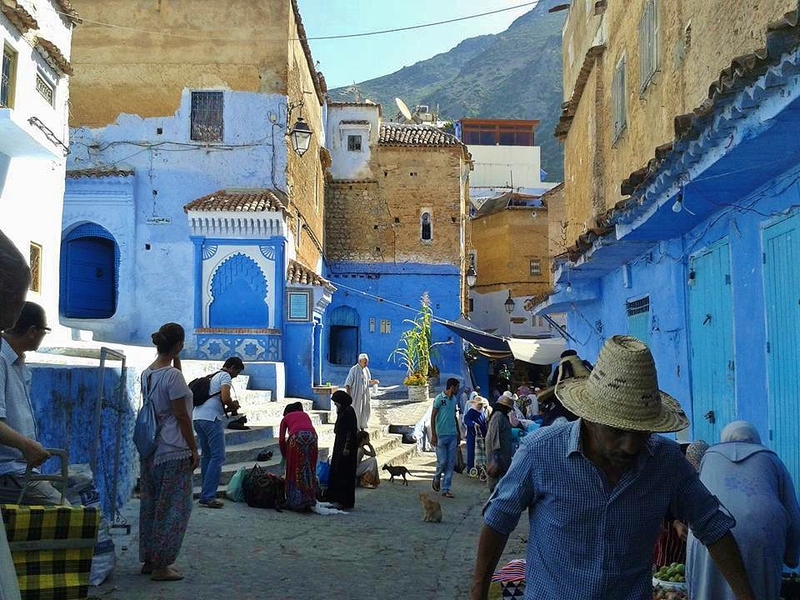 After your arrival to Tangier, airport assistance and preparations for our tour, we head towards Chefchaouen which is a picturesque town situated on the slopes of the Riff Mountain to explore this small town. 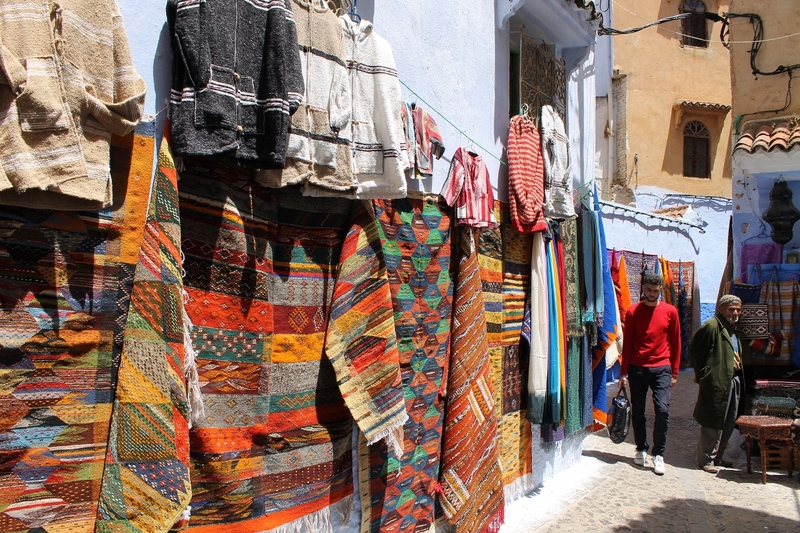 The colours and the atmosphere inside the old medina of Chefchaouen are unique. Heading south, after a nice breakfast, we´ll visit the archaeological complex of a Roman city, Volubilis. This was the administrative centre of the Roman province of Mauritania and is part of the UNESCO World Heritage. 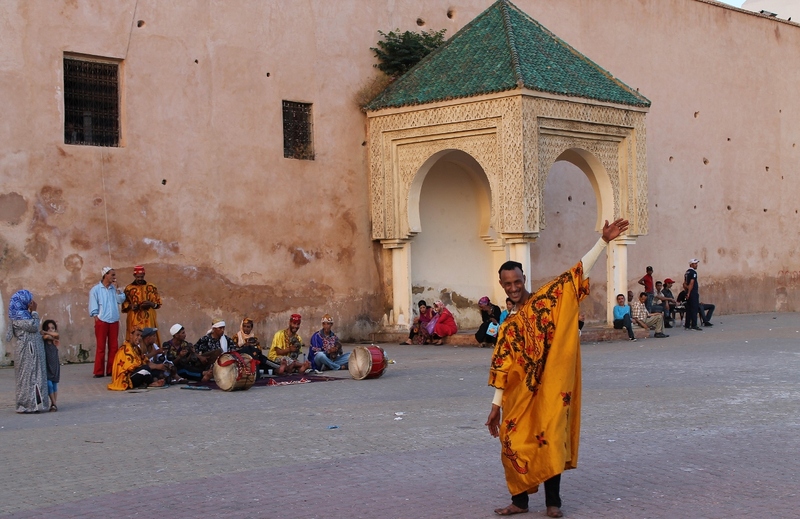 After that, we travel south towards Meknès having the rest of the day to visit its old Medina. After an early breakfast, we head towards Ifrane (meaning “caves” in Berber) at 1700m height, known as the “Little Switzerland of Africa”. Continuing south towards Azrou, through the Atlas cedar forest where we might see wild monkeys. We will make use of one of the two major historic routes that connects to the “Great South”. 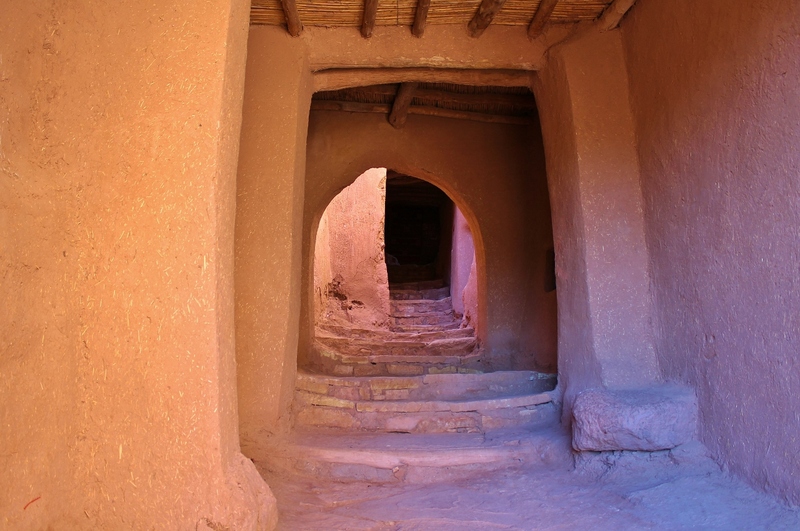 We will descend to Midelt (1520m), Errachidia (1020m) and reaching Rissani known for its beautiful entrance gate, ending this long day trip arriving in the Berber village of Merzouga, where the Sahara desert begins, the Erg Chebbi. Just 20km from the Algerian border. 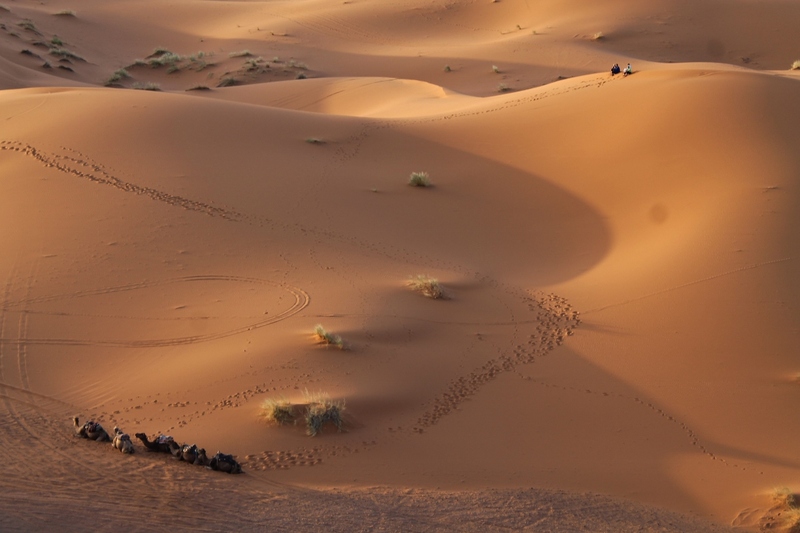 Having a good breakfast, we will visit and climb the Erg Chebbi, the most beautiful dunes of Morocco. Lunch as always will be on the way. We will depart heading northwest towards Alnif, arriving at the Tinghir oasis that lies south of the “High Atlas” and north of “Little Atlas”. Visit of the Todra Gorges (cliffs with a maximum elevation of 300m and separated by 20 to 50m) and a walk through its oasis. 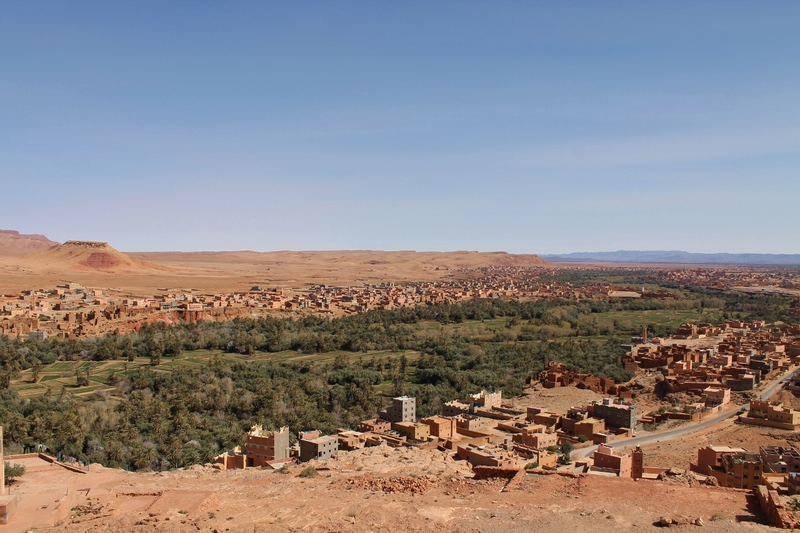 Breakfast, and then depart towards the Dades Valley, continuing to Kelaat M’Gouna in the Valley of the Roses, arriving at Ouarzazate that is the Moroccan Hollywood and considered the entrance gate to the desert. The day will end arriving at the tourism capital of Morocco, Marrakech, the 3rd biggest city in Morocco. The Riad is located near the Jemaa el Fna, one of the most animated squares of the world that will challenge your senses. After breakfast, you will have a free day, entirely dedicated to explore this magnificent city, “lose yourself” in the ancient Medina, put your negotiating skills to test (hopefully you already had some practice the days before) and let yourself get conquered by the smells and colours. In addition, you can just simply have a rest on the terraces with an overview of the square, sipping a mint tea and watching the bustle below. This can be done traveling in the opposite direction to that described above. 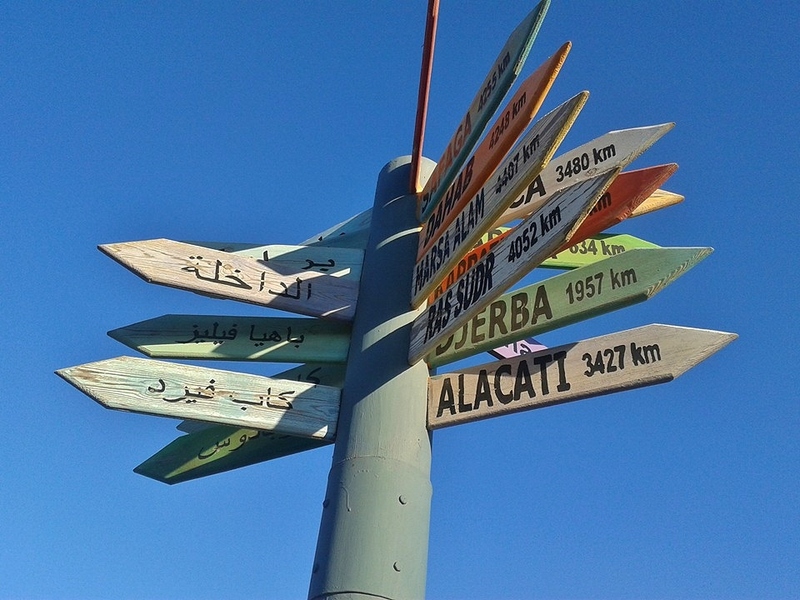 Start at Marrakech and end in Tangier.